This proposal outlines how Wyoming would manage grizzly bears when they come off of the endangered species list. Game and Fish is asking for public feedback. Those interested can comment online, at public meetings around the state or by mail. "Our proposal lays out a path to ensure grizzly bears remain recovered. The plan also honors the commitment made by the people of Wyoming over the last three decades to help recover this species with an investment of $40 million," said Scott Talbott, Director of the Wyoming Game and Fish Department. The Wyoming Game and Fish Department has also released the draft three-state Memorandum of Agreement (MOA). The public comments on both the draft MOA and the draft Grizzly Bear Management Plan will be considered before a presentation and recommendations are made to the Wyoming Game and Fish Commission. 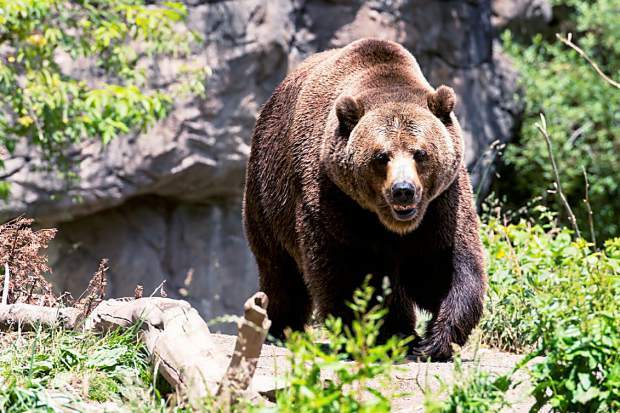 "The draft Grizzly Bear Management Plan is adaptive to make sure that the newest and best available science can be quickly applied to grizzly bear conservation in Wyoming," said Chief of Wildlife for Game and Fish, Brian Nesvik. "Wyoming will continue to collaborate with experts from other states, federal agencies and tribes to build on this amazing conservation success story." The Wyoming Game and Fish Department is accepting public comments until April 14, 2016. Comments will be accepted online or by mail. The U.S. Fish and Wildlife Service is also accepting public comment on the federal proposed delisting rule and an accompanying conservation strategy and has committed to complete delisting by the end of the summer.